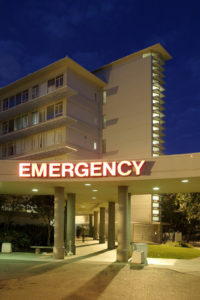 Emergency room errors happen every day, but some of these errors occur as a result of medical malpractice. According to the Centers for Disease Control and Prevention, over 136 million United States residents check themselves into an emergency room each year. These numbers, along with the prevalence of severely injured patients and extremely ill individuals, make the emergency room a chaotic place for patients and medical professionals alike. The medical facility must properly staff the emergency room with highly-trained and experienced medical professionals to assist each patient promptly. Emergency room errors happen every day, but some of these errors occur as a result of medical malpractice. If you believe that you have suffered due to a negligent emergency room error, it’s important to prove three basic elements of your case. First, you must show that a doctor-patient relationship existed. Second, you must show that the emergency room treatment involved negligence and that you were harmed as a result of the negligent actions. In most cases, a doctor-patient relationship is established as soon as the doctor examines a patient or provides treatment in an emergency room. It’s not important for the patient to prove whether a continuing doctor-patient relationship was established after the initial treatment. He or she only needs to prove that the relationship was in place when the incident of neglect or medical malpractice occurred. A record of patient admittance to the ER coupled with treatment charts is often sufficient evidence. When a doctor or medical professional acts negligently, he or she fails to provide the quality of care that other doctors would have given under similar circumstances. When pursuing a medical malpractice lawsuit, the patient must prove that the standard of care was not, typically proven by expert opinion. For a patient to prove that they experienced harm as a result of medical neglect, physical evidence is not necessary. The harm can take many forms, including but not limited to pain and suffering, cost of medical bills, loss of earning capacity, and loss of life enjoyment. For more information regarding proving negligence, call the Law Offices of Cardaro and Peek today. This entry was posted on Thursday, January 10th, 2019 at 9:24 am. Both comments and pings are currently closed.